Uses: Antioxidant, antiseptic, anti-spasmodic, anti-toxic, aphrodisiac, bactericidal, carminative, depurative, digestive, diuretic, emmenagogue, larvicidal, nervine, stimulant, tonic, relieves muscular pains and osteoarthritis. Helps with colic, dyspepsia, flatulence, bloating and indigestion. 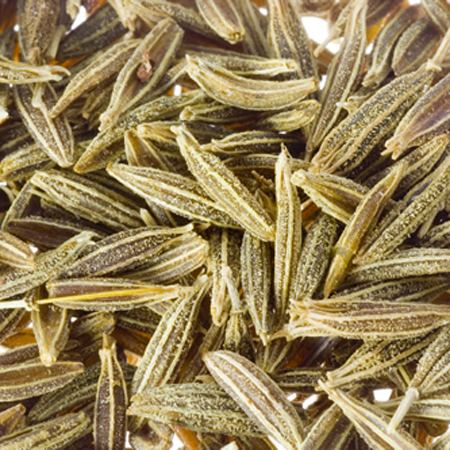 Caution: Do not use prior to going in sun because Cumin is a phototoxic essential oil. Avoid during pregnancy as it is sensitive the skin.